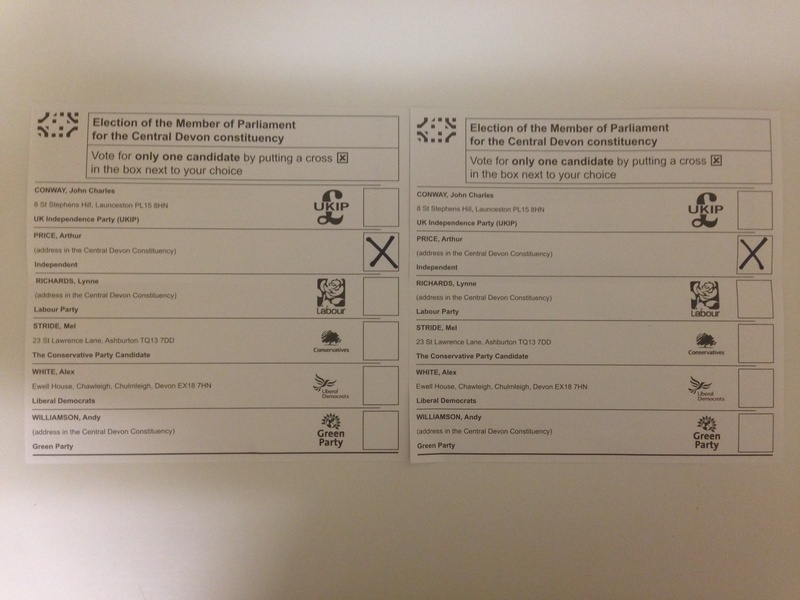 Hi thought you’d like to see our postal vote slips! We live in Western Australia. 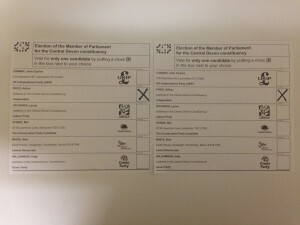 In February the coalition had a campaign to get more overseas voters to sign on to the electoral role. we dutifully signed up only to be told that voting slips would not be posted out earlier than 11 days before the election and must reach the returning officer by Election Day. The good news is that they arrived this morning. with the best airport connections and a hire car with the engine running at heathrow T4 the journey to Tavistock takes 31.5 hours. Our slips have 32. No Replies to "A Fantastic Email from Australia"